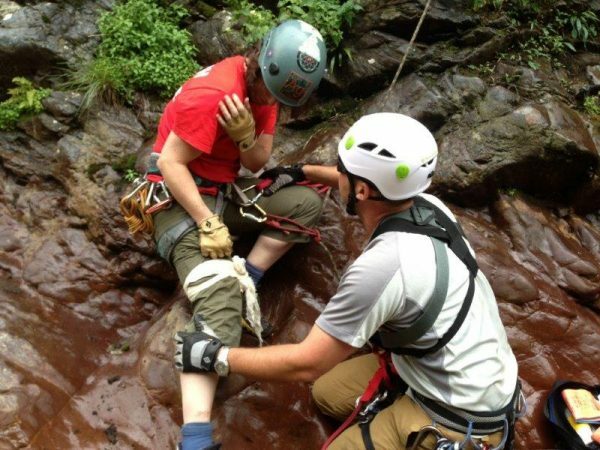 This hands-on interactive workshop is tailored for medical/rescuers tasked with the patient access, care, and evacuation components of a rescue. Through thoughtful discussion, pertinent case studies, and hands-on application, we will explore a variety of realistic patient care challenges. One of the common qualities of a typical rope rescue training is the emphasis on the technical aspects of patient/rescuer egress. Simultaneously, we are often paying merely lip service to the patient assessment, medical interventions, and packaging methods utilized. In fact, it is normal that our “patient” is a fellow trainee in a role-playing scenario. In the Finding Balance seminar we instead provide real “patients” (who are experienced SAR personnel) in a more authentic rope-playing mode. We also include detailed patient feedback and reactions to patient discomfort and handling. Prerequisites: the skills outlined on our prerequisites page. The above list is not exhaustive, nor is it a checklist. One of the hallmark traits of a Rigging for Rescue program is the flexible curriculum. Specific techniques & topics covered are influenced by the overall participant mix and their interests. Each Rigging for Rescue seminar or workshop is a custom experience. 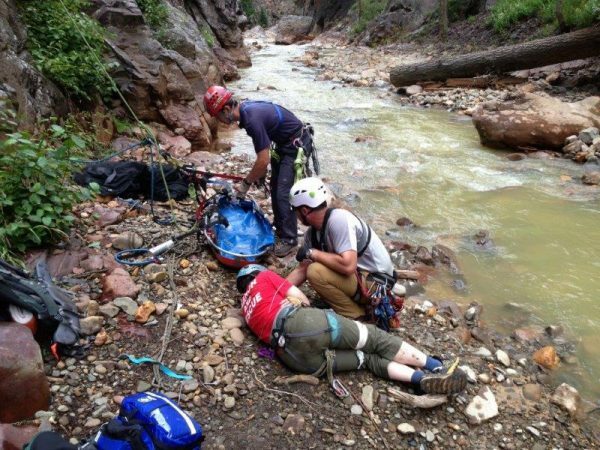 All field training scenarios will be in and around Ouray, Colorado. Personal descent control device. Preferably, a device that includes a plaquette style auto- locking feature (e.g. Black Diamond ATC Guide, Kong GiGi, etc.). We want to see what you use, how and why. 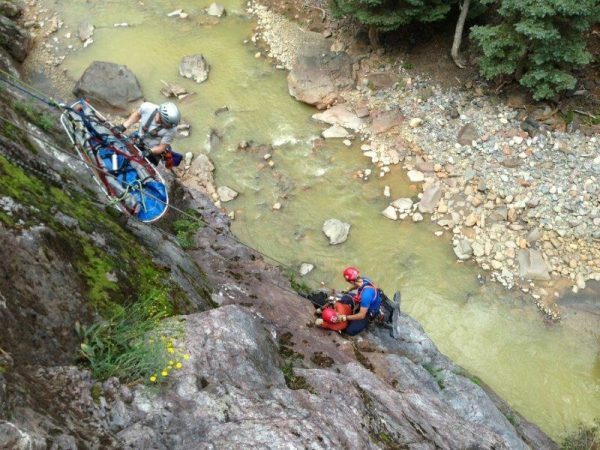 We are looking for the best possible way to rig and conduct rescue. Printed materials, video clips of trainings, and favorite rescue books are all welcome additions to the seminar. Active participation is the best way to foster a rich and rewarding learning environment. Finding Balance – Patient Care in Technical Rescue is 5 full days (45+ hours) and runs from 08:00 Monday to approximately 17:00 Friday. Each participant is responsible for their own transportation, personal equipment, food, and accommodation. Fees: $1,325 US. A deposit of $250 US is required upon registration with final payment due two months prior to the workshop start date. Please use the + & – symbols to add or delete event participants. If there are not enough spots to accommodate your group or personal registration, please contact us to be included on the program’s waitlist. Free! Rigging for Rescue will invoice your agency for full tuition in the program. Previous list of rescue or related experience. 20 available	 Finding Balance- Deposit $250 due upfront, remainder due prior to program start.